Welcome to Chiropractic Works, Your Solution to Painful Problems. Chiropractic Physicians are specialist in the art and science of the function of the spinal column and nervous system. The brain is connected to the spinal cord and to every cell, tissue, and organ in the entire body. The spinal column and skull naturally protect soft and delicate tissues from damage. Sometimes the nerves exiting the spinal column can be irritated and therefore effecting everything that nerve is connected to. The impingement of these nerves is sometimes caused by the misalignment of one or more of the 24 vertebrae in the spinal column. Trauma, stress, poor posture, automobile accidents, sports injuries and other causes can create these misalignments which can immediately or overtime migrate into symptoms causing headaches back and neck pain. You can also experience pain, numbness, burning, tingling and weakness in the shoulders, arms, hands, hips, legs, and feet. Chiropractic Physicians correct spinal misalignment and nervous system interruptions by removing misalignments to help relieve pain and help ensure function and good health. We recommend and encourage chiropractic care in conjunction with your traditional healthcare and hope that you find the information you need in determining your decision to choose chiropractic for a healthy, happy, and active life!. 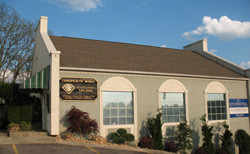 Providing chiropractic care & wellness solutions for Cookeville .